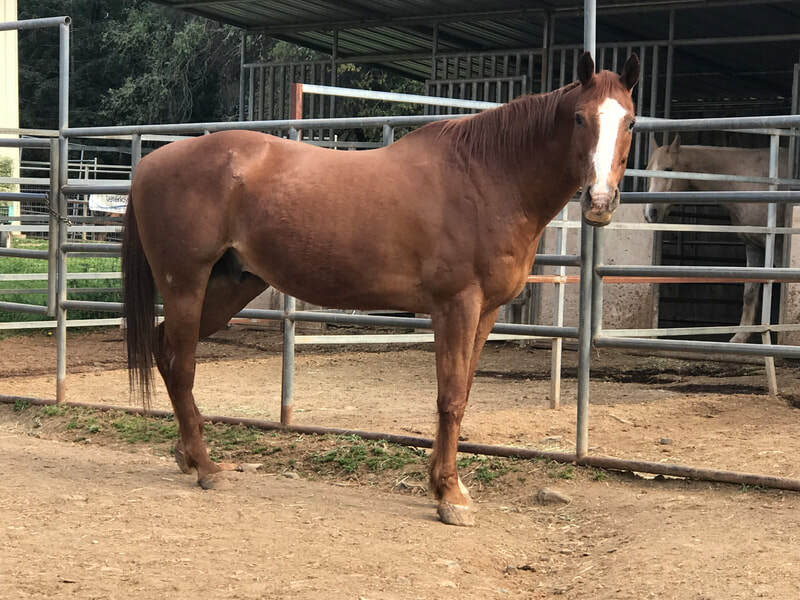 Rudy came to AAE with two of his buddies in mid-January 2018 from a neglect situation. 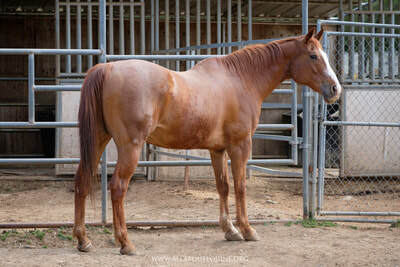 He's about 23 years old, stands 15.2 hands, and weighed only about 875 pounds. 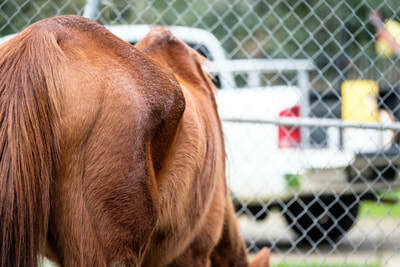 He was also covered with ticks, with at least 50 removed so far and finding more every day. 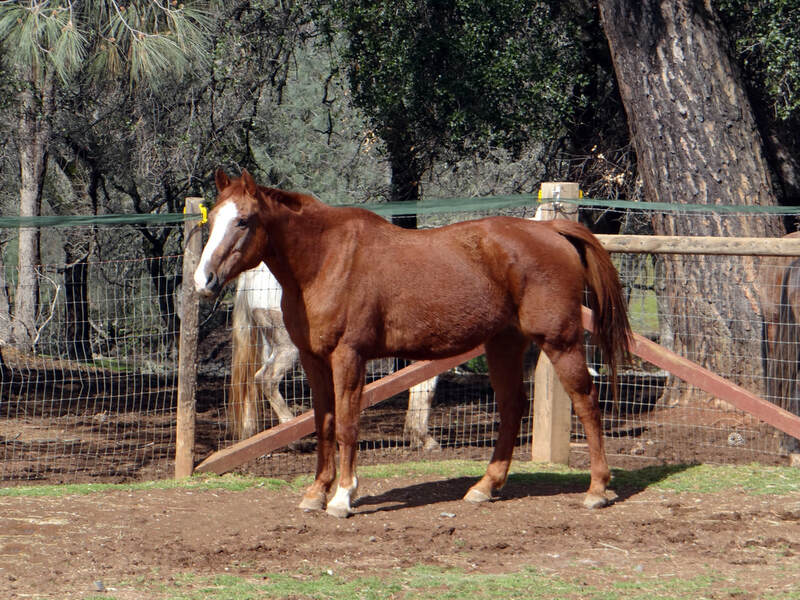 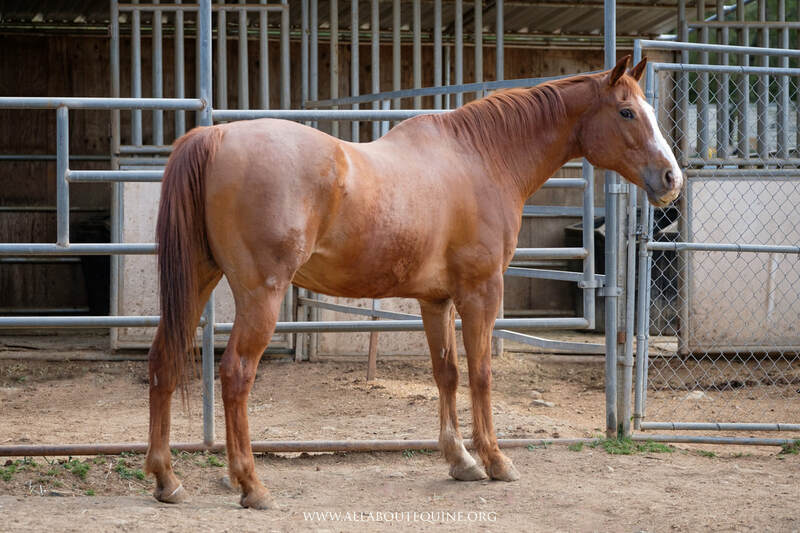 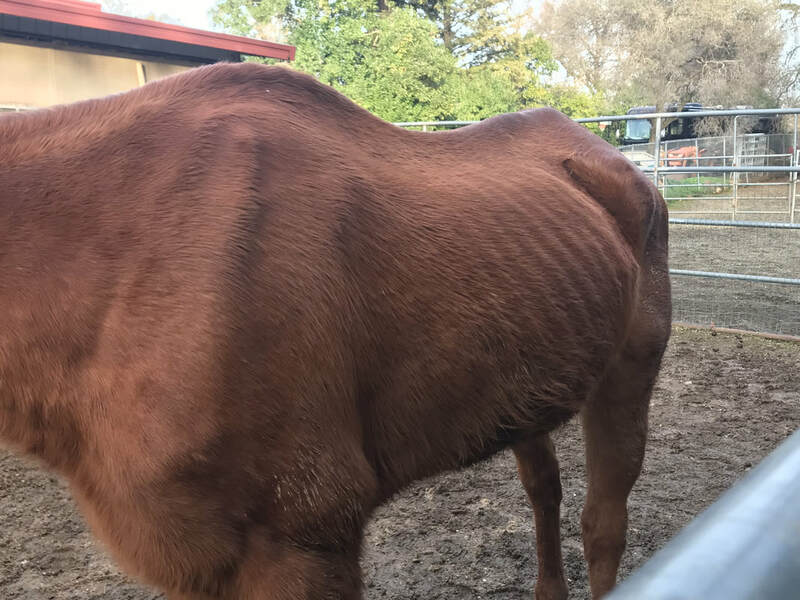 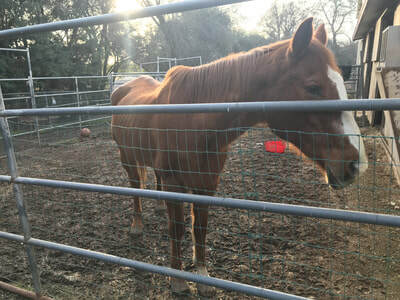 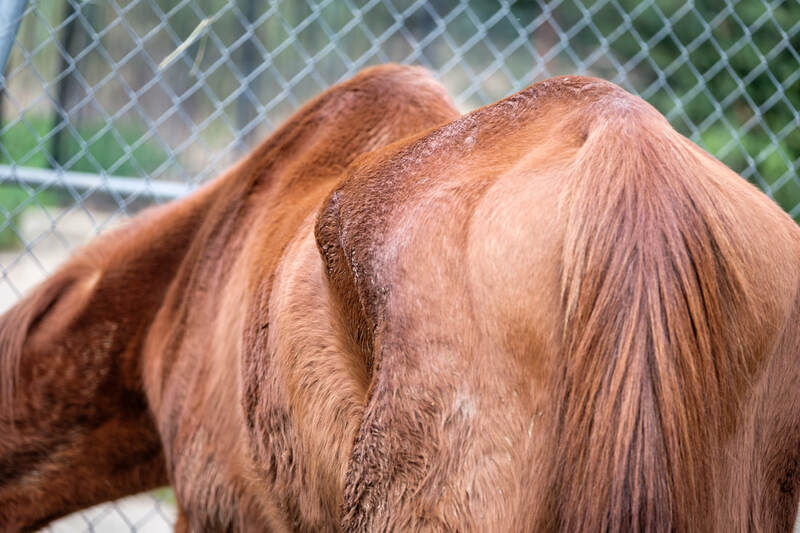 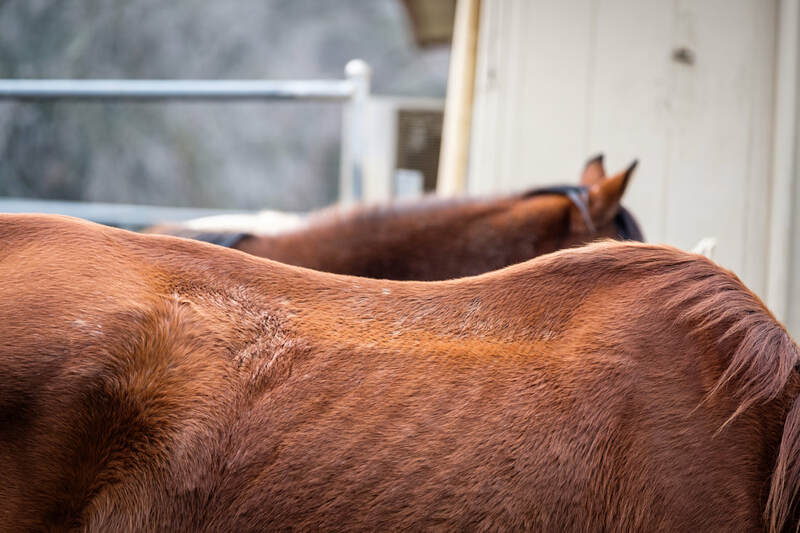 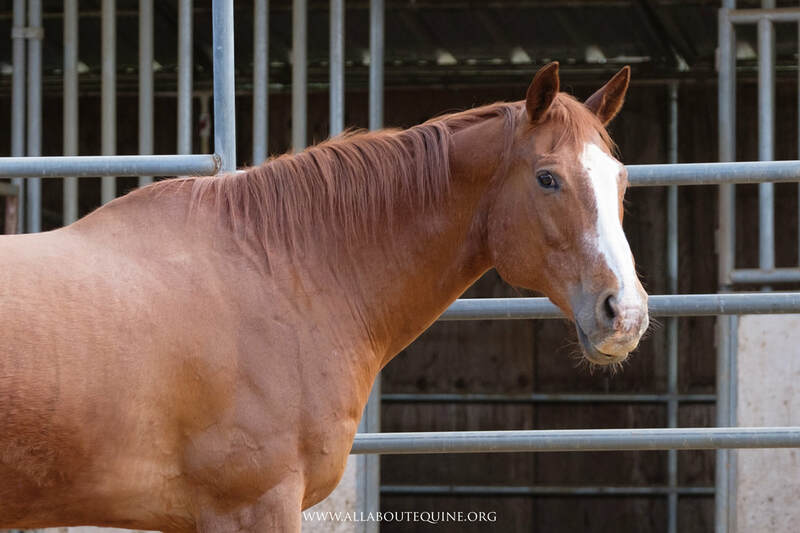 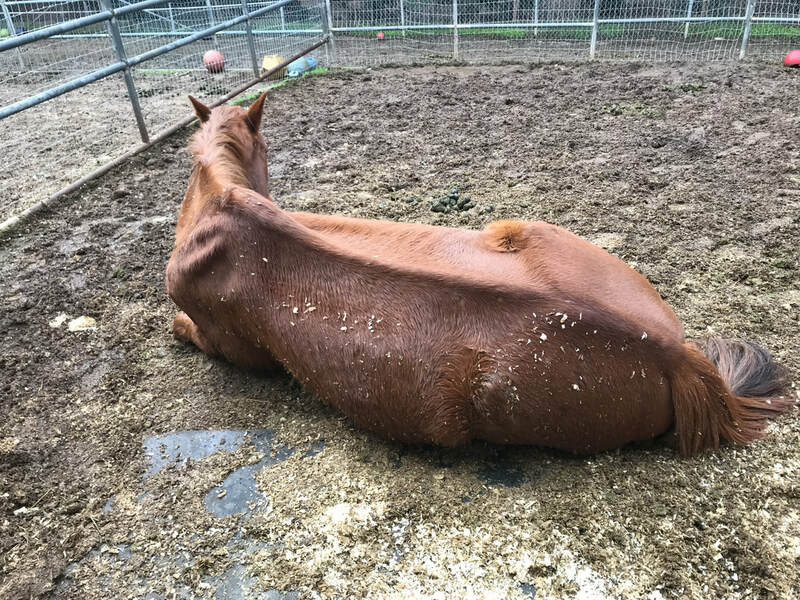 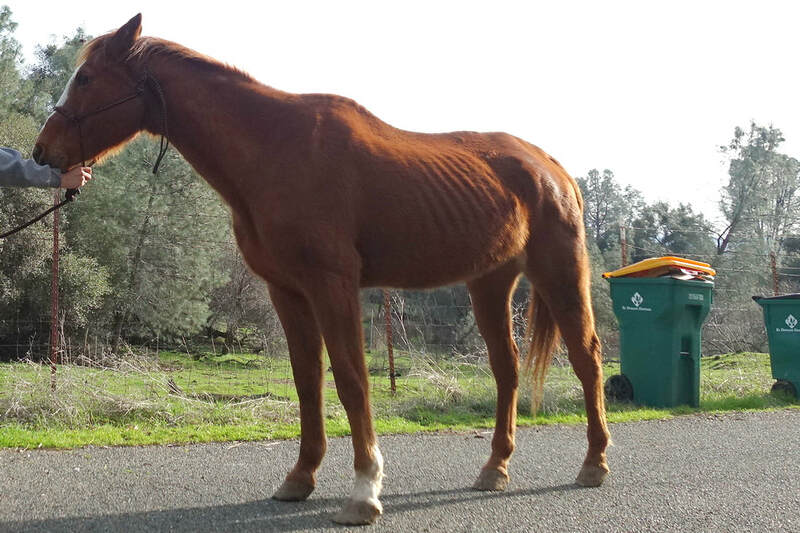 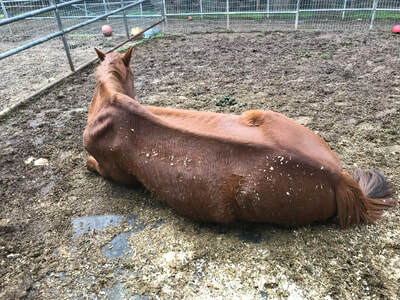 Rudy was started on a slow refeeding program consistent with UC Davis' protocol for rehabilitating starved horses. His teeth had also been neglected, but he was given time to stabilize and gain a bit of weight. 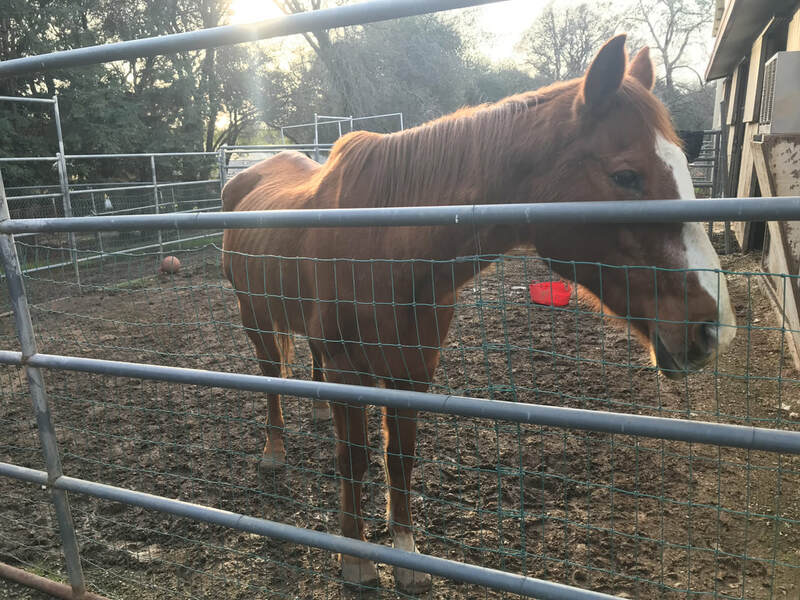 ​Though emaciated and starving, Rudy is a kind guy, but his focus is on his next feeding. 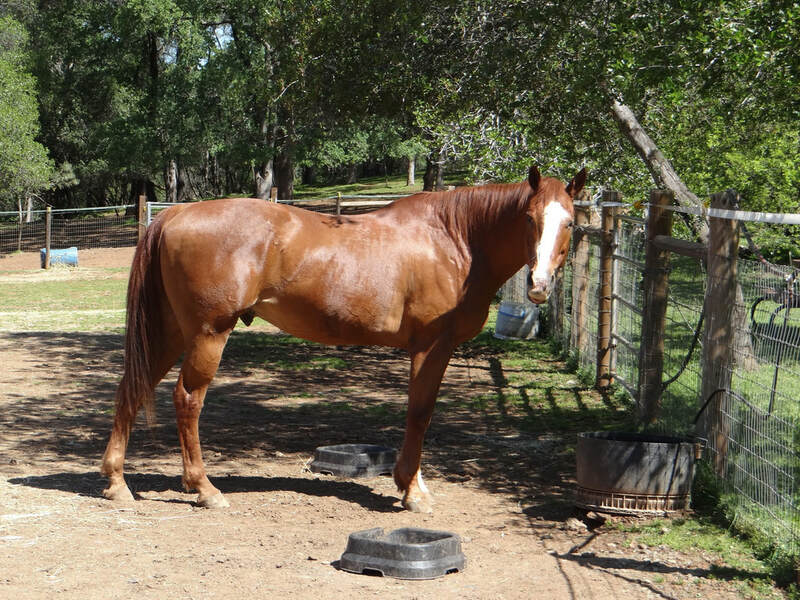 He seems to enjoy attention, but he is indifferent at times, especially if there's food in his proximity. 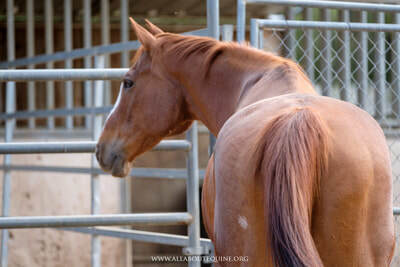 So far, Rudy has also been very easy to handle, he is very patient with handling his hooves, and he enjoys grooming and attention. 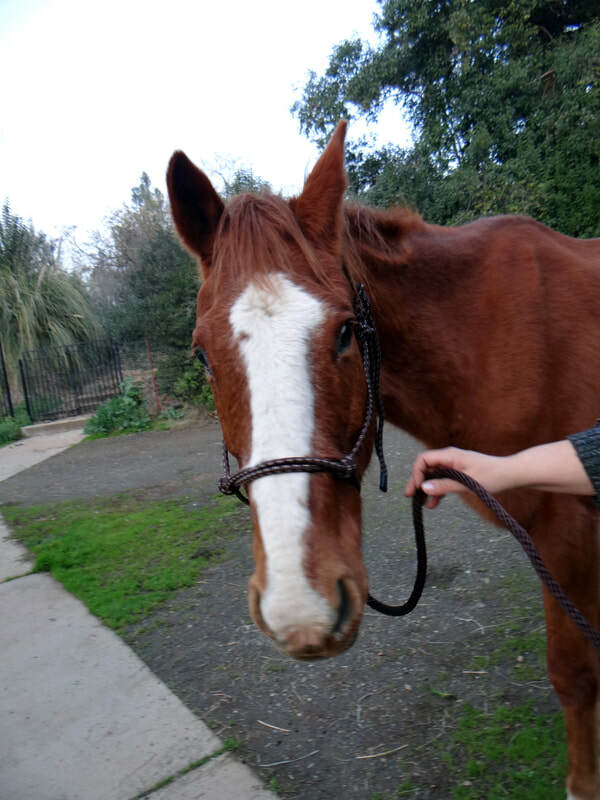 Rudy has been saddled and ridden lightly. 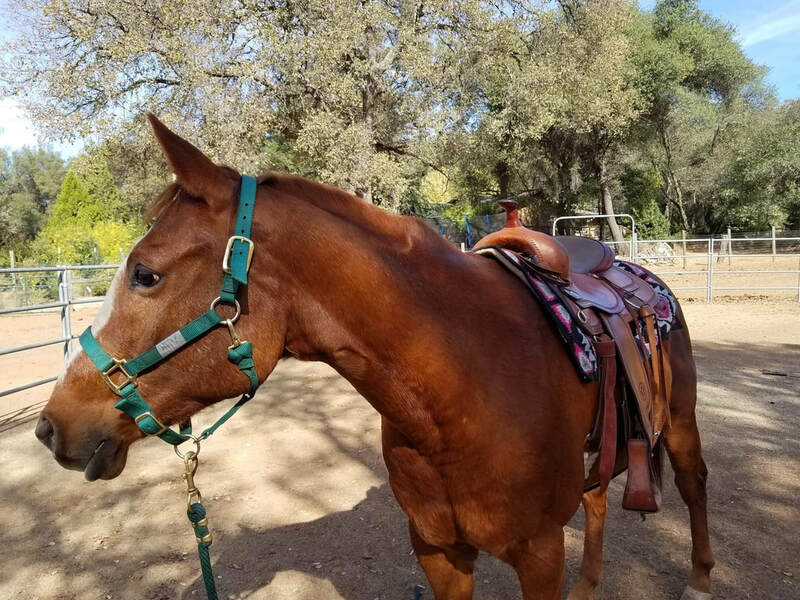 He's soft and willing under saddle, but his hooves are still an issue with persistent heel cracks. They are making slow improvement, but need more time. 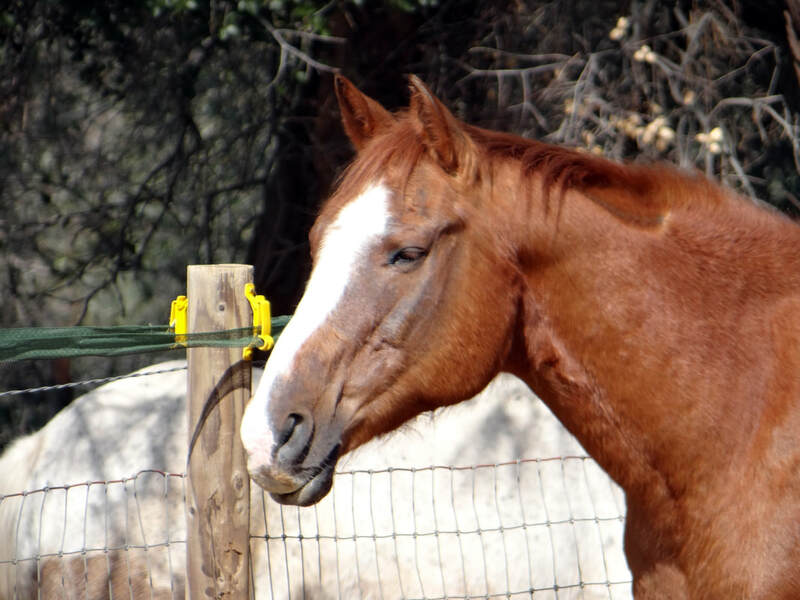 This 'ol guy is another sweet 'ol soul and handsome as ever. 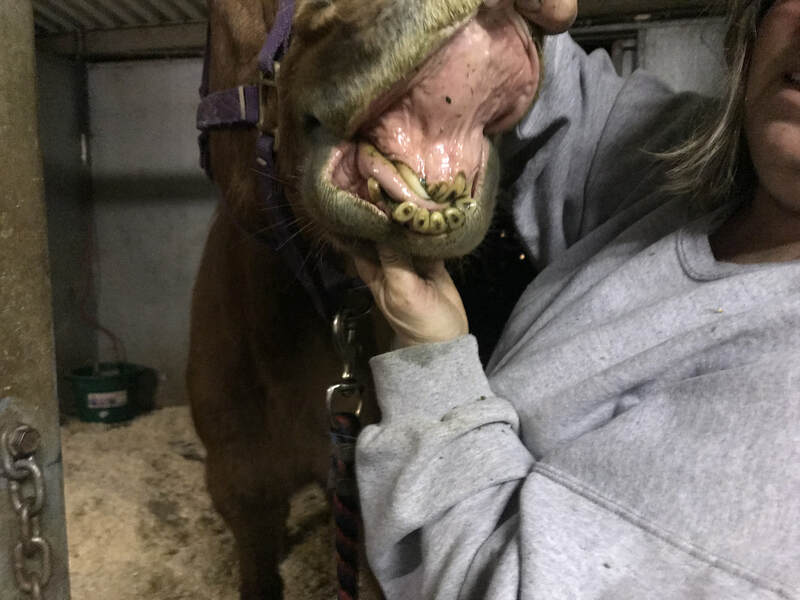 He had much needed dental work, he's been dewormed, and his vaccines were updated.